This week has been a bit crazy, as I am not only rehearsing for my 3rd and 4th grade programs (which means I have 100+ kids at a time on risers, for close to an hour each day), I have also invited Kindergarten parents into my room for an "informance." 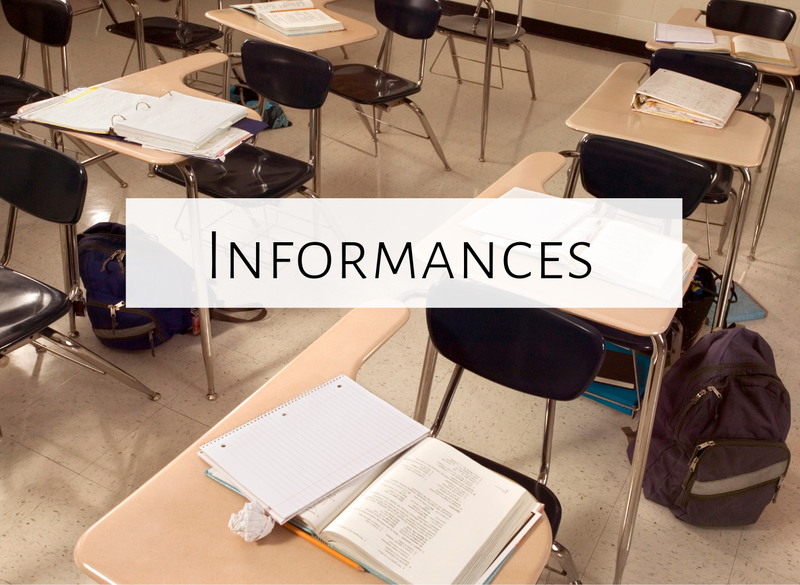 So what exactly is an "informance"? It is a way to inform parents of what a typical music class is like. It is similar to a performance in that there is an audience, but instead of rehearsing set pieces like you would for a program, students simply participate in music class. It is a great way to educate your school community about your music classroom! The Kindergarteners have been busy this school year singing, chanting, playing instruments, and dancing in the music classroom! We would like to invite you to the Kindergarten informance, the week of January 28. An informance is a chance for parents to see what a typical music class looks like. You are welcome to come during your child’s music time that week; parents can sit and watch the class in action. Let me know if you have any questions. I hope you can join us! A couple weeks before the informance, I sent home a similar letter, reminding the parents again of the informance. Prior to the informances, I also put together a program, explaining more about my classroom, and more about each activity we will do during that lesson. I would love to include the actual PDF of the program, but the person I bought the clip art from for the program is pretty particular about protecting the images, so I'll just describe the program and copy the text for you here. The purpose of an informance is to inform parents, friends, and community members about what exactly happens during a typical music class. Today, you will see me teach several different activities, all for different learning styles and concepts. It is my firm belief that music should be taught joyfully, with high expectations. 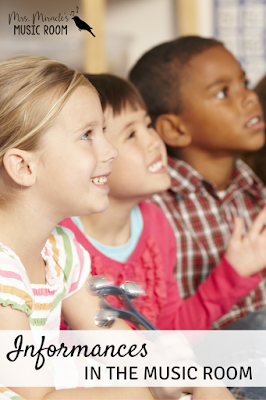 Just as students can achieve literacy in the classroom, they can achieve musical literacy. 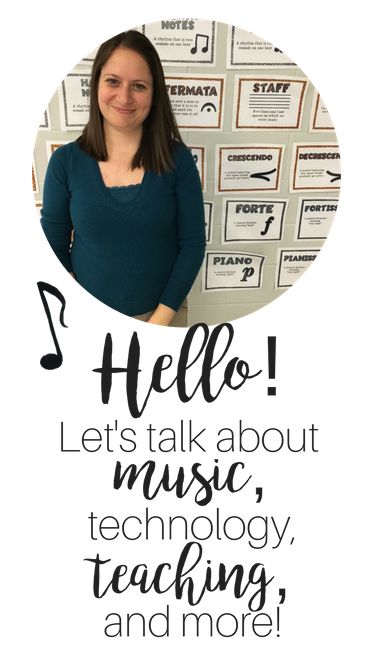 In my music classroom, students often sing, dance, move, read, write, improvise, compose, and play instruments, all while experiencing the joy of music and improving their musical literacy. I hope to give you a glimpse of the wonderful things your child can do in music! At the beginning of each music class, after our first song or chant, we follow with “Here we are together.” We sing all the children’s names, welcoming them to music. We do this activity at the beginning of each music class. We start off using our speaking voices, then switch to singing voices. If students would like to sing a solo, they raise their hands and sing into the microphone. Although as an adult, it may seem daunting to sing a solo, the students are very accustomed to singing individually and rarely show signs of anxiety. By listening to children individually, I am able to assess their singing voices. Over the two and a half years I have taught the students at Cheshire, several have transformed from “non-singers” to singing beautifully! We’ll go back to “Engine Engine,” and look at loud/quiet and fast/slow pictures on the SMART board. We’ll perform the chant in those four different ways, and them combine (loud AND slow, fast AND quiet.) This is a bit more difficult! This is a song the students recently learned in their last lesson. We’ll review the song and then I will teach the game. The game is a great way to prepare beat, as students have to put the “feel of the music” in their feet! Students will explore their different voices (speaking, singing, squeaky, grumbly, quiet, and loud) with this fun activity. Then they have to figure out which voice I’m using! Then we will look at the SMART board, spin the spinner to see which voice comes up, and perform “Bee Bee” with that voice. This is a really fun movement activity in which students have to move different parts of their body. It helps them focus on the drum, create their own movement, and develop balance skills. This is a fun book by Paul Galdone. The students will listen, sing as they are comfortable, and explore different animal sounds, which helps them find their singing voices. This is one of the students’ favorite activities! It helps them listen for high/low. At the beginning of the year, I spoke the whole story to students, but now they can do much of it without me saying a word! Interested in the bunny game? Finally, after the description of the lesson, I listed the Kindergarten indicators we covered during the lesson. The day of the first informance, I made sure I had chairs placed around the perimeter of the room. I put out about 15 chairs, and was surprised to see they were all filled...I even had to add a couple chairs! I first had the parents come in and sit down. I introduced myself, told them they'd see a normal music class, and then I led the kids in, chanting "Engine Engine." During the lesson, I paused a few times to explain to the parents what we were doing, and how they might extend the activity at home. For example, during "Cat goes fiddle-I-fee," after students were making animal sounds, I explained that this was a great way for students to explore their voices. These are the small things parents might do with their children that could help them musically! Parents seemed very excited to see their children in this environment. I heard lots of wonderful comments. In previous years, when I've done this, I've had parents express surprise. I think parents assume that music class is exactly what it was like when they were kids, and this is of course not true! Informances can truly inform parents, and build support for your classroom. I know many Kodaly-inspired teachers who actually prefer informances to performances, as they don't like to take time away from their curriculum. Although I understand the frustrations of losing curriculum time, I think it's important that children also have performance opportunities during their elementary years. You might try informances with some grade levels, and performances with others. I was able to do this during the day; those parents who work at home could come into school, and many who work took some time off to come. Whether your parents can come may depend on the socio-economics of the school community. I know some teachers do informances in the evening. I personally like to save evenings for performances, but of course, do what's best for you and your community! Any other ideas or thoughts about informances? Please comment below! This is a great way to get parents involved! Do you do this for all the other grades, or just the younger ones (since the older students have performances)? I haven't heard of "The Bunny Game" before. Do you have directions that you would be willing to share (or could you point me in the direction of the appropriate resource)? Hi Rebecca! Sorry it took me a while to respond to this. Kindergarten was the only grade I'm doing an informance for this year. I've done it in the past with other grade levels, but yes--since the others have performances I won't be doing informances. I am really interested in bunny game as well! Could I send you my email?